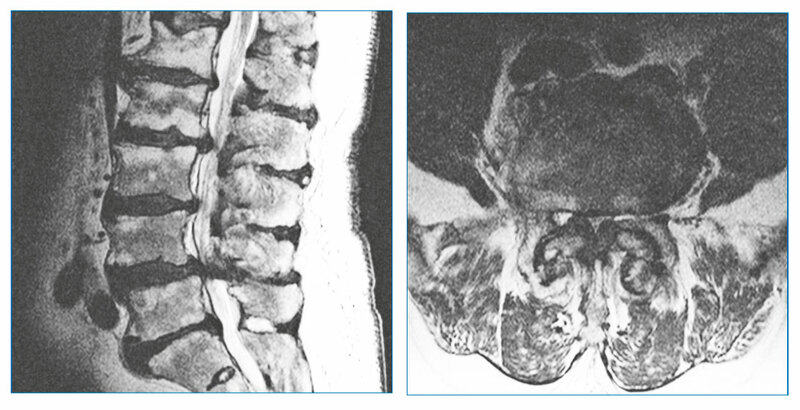 The most important indication of iLESSYS® Delta is the dorsal and dorso lateral endoscopic treatment of spinal canal stenosis. By means of the interlaminar access and the bigger working tube size, bony structures can be removed under endoscopic view in a large area. 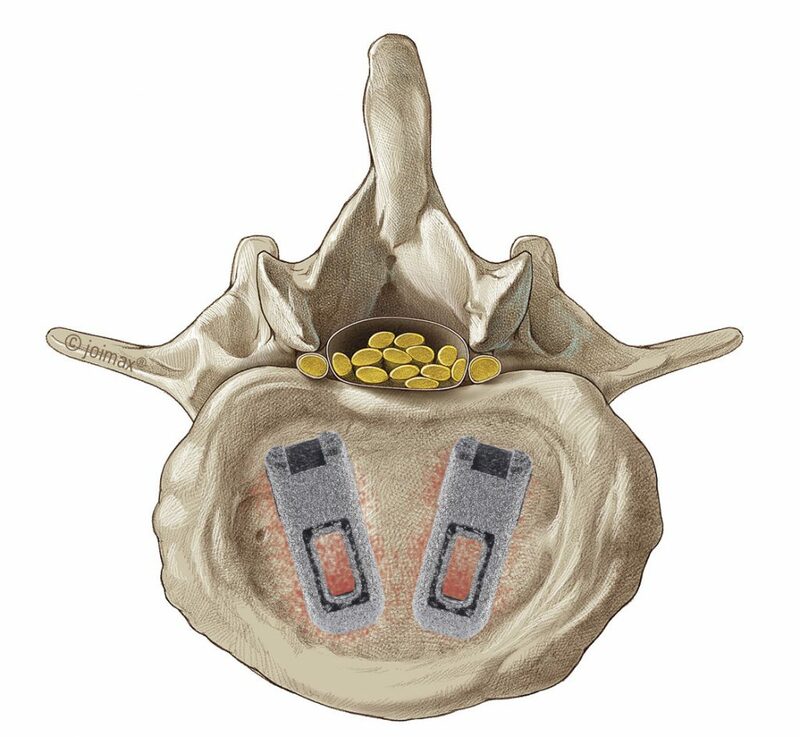 iLESSYS® Delta is particularly suitable for bony decompression of central stenoses. 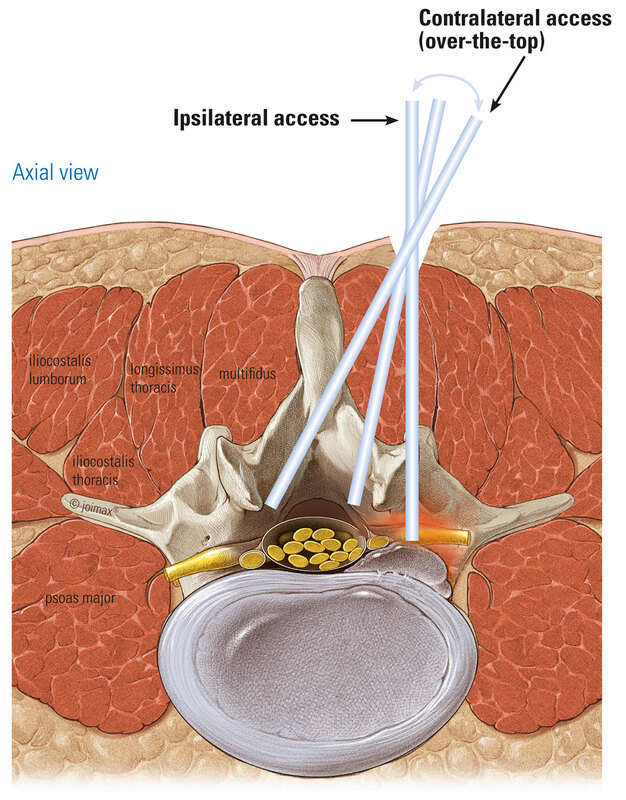 Both ipsilateral and contralateral access are possible under full endoscopic view (over-the-top technique). In addition, decompression can be performed on several levels with only one access. The over-the-top or cross-over technique allows a bilateral decompression via unilateral endoscopic surgery access. After extension of the interlaminar window, a look at the opposite side is given. 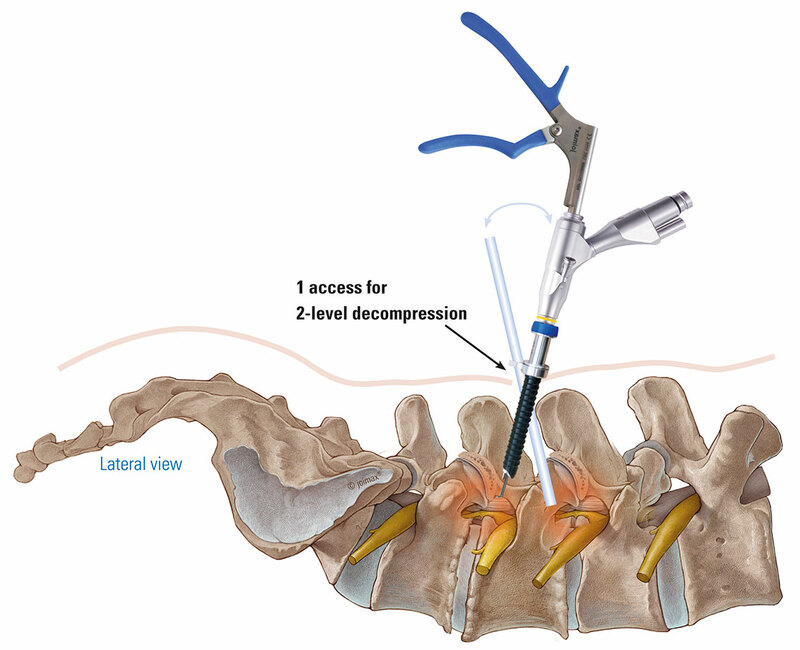 So, it is possible to reach the other side of the spinal canal with the instruments, without the need for a second skin incision and a new access. Thus, in this minimally invasive procedure the surgeon works crosswise (cross over). 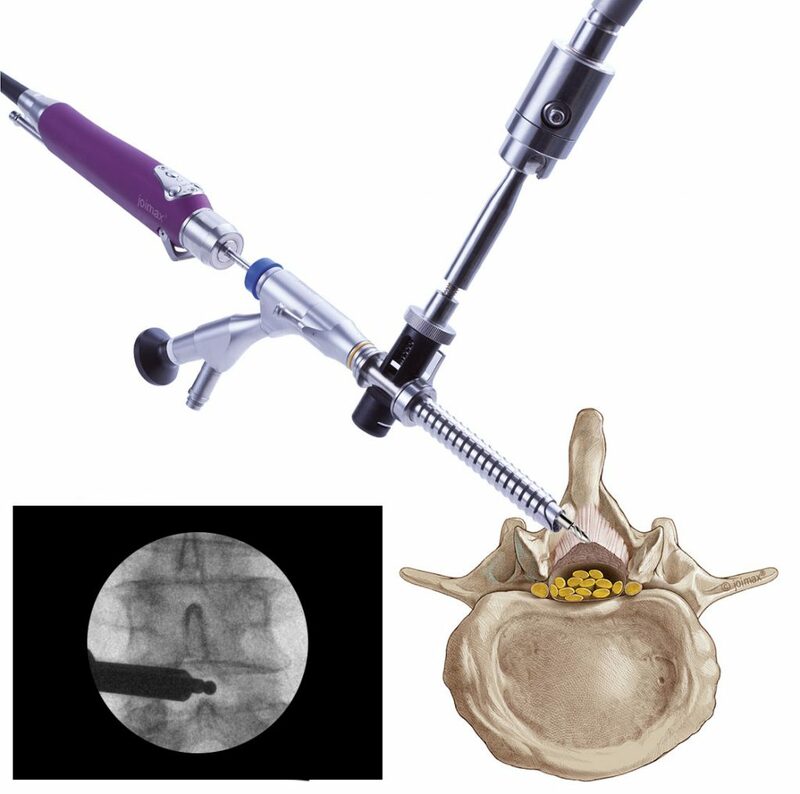 In addition to the dorsal decompression of spinal canal stenosis, the iLESSYS® Delta instruments are also suitable to insert joimax® cages for lumbar fusion – in combination with the EndoLIF® instruments – as part of stabilisation treatment.